Two Ukrainian soldiers were shell-shocked. 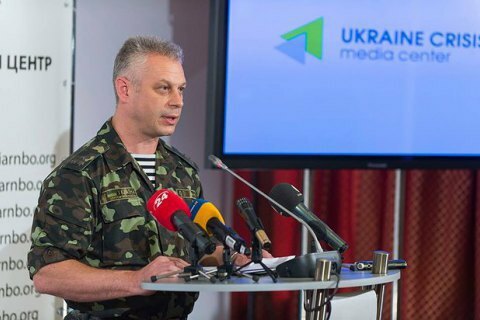 One Ukrainian serviceman is reported killed and thirteen wounded in ATO zone in Donbas last day, the spokes officer for the Presidential Administration on the ATO, Col. Andriy Lysenko told a briefing in Kyiv on 11 July. “One Ukrainian serviceman was killed and ten soldiers were wounded as a result of military operations over the past day. Another two soldiers were shell-shocked. In addition, one serviceman got serious injury as he stepped on a trip wire in the near rear area of our forces,” Lysenko said. He added that three militants had been killed and eight wounded in last day.